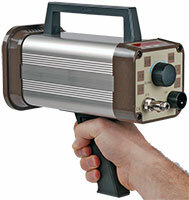 XENON, UV and LED Stroboscopes for speed measurement, machinery observation, vibration monitoring and other inspection tasks. 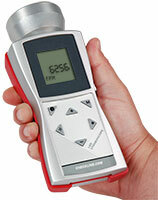 Portable and fixed mount LED stroboscopes are available. Selectable units of "FPM, "Hz" or "1/MIN"
Extremely bright and uniform light distribution for web widths up to 12" (300mm) and wider. Connections include two trigger inputs and one trigger output. Power can be connected in either of these three locations. LEDs provide lifetime use and never require replacement. 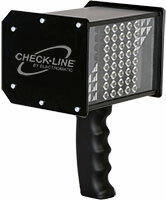 For web widths greater than 12" (300mm), two or more strobes can be connected in parallel. 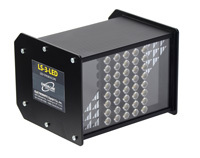 Extremely bright and uniform light distribution for web widths up to 20" (500mm) and wider. 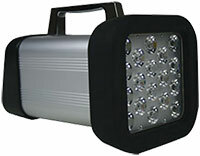 For web widths greater than 20" (500mm), two or more strobes can be connected in parallel using the LS-CABLE-T. Each strobe would require it's own power supply. Extremely bright homogenous and large area illumination for web widths up to 47" (1200mm) and wider. 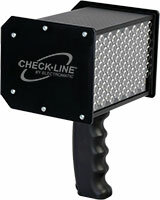 For web widths greater than 47" (1200mm), two or more strobes can be connected in parallel. 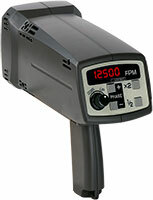 Flash rates up to 120,000 fpm (2000 Hz) for high-speed applications. Adjustable light intensity and sharpness.